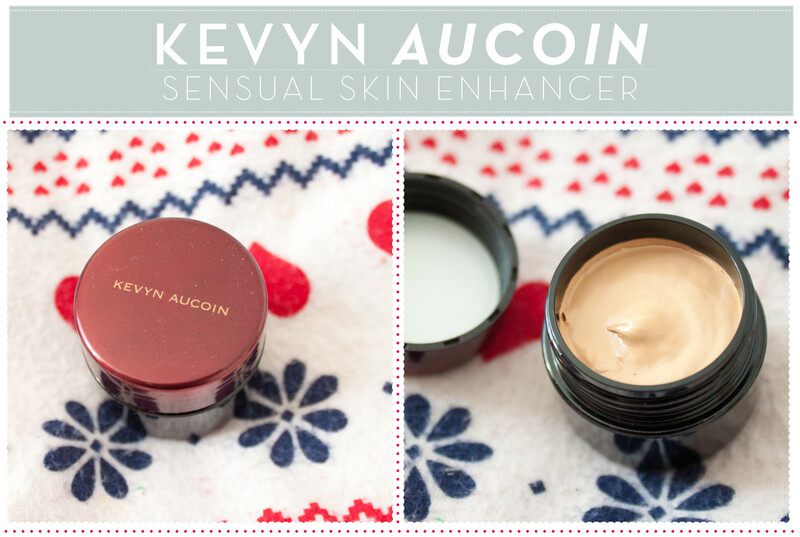 The Kevyn Aucoin Sensual Skin Enhancer has been doing the rounds in the blog world recently bought it on a whim when I was feeling a bit sorry for myself when I was in Space NK. I'd read a few reviews of it and thought it sounded like something that I would enjoy trying out so went ahead and purchased it. I bought the shade SX07, which is just about the right tone for my skin. I found it quite hard to match myself up but the always helpful Space NK staff helped me finally decide on a shade. It cost a (not so) cool £36, which is expensive even in high end foundation terms. The Sensual Skin Enhancer is basically a pot of pure pigmented foundation, it's the thickest, most full coverage "foundation" I've ever tried. I know everyone says this with any foundation that a little goes a long way, but this really does. You need to TINIEST dot on the back of your hand to give completely full face coverage. Personally I find it way too cakey to be used alone as either foundation or concealer, but the beauty in this product comes when you mix it with various other products. I've tried it mixed with my Jouer Matte Moisture Tint to give it a little bit more coverage but still a soft base. I've also mixed it with other bases like my REN Day Cream, Clarins Beauty Flash Balm or mixed with a primer such as the Clarins Instant Smooth Primer. I've even heard reports of it being mixed with illuminators to give a nice glowy finish. I personally think it's great because you can customise a blend of products to suit your needs and then add the Sensual Skin Enhancer to give it some colour and coverage. It's a really adaptable and unique product and I'm really happy with it. Sometimes I need it for extra coverage with my tinted moisturiser or use it with a moisturiser to create something nourishing while also evening out my skin tone. It's not the easiest of products to work with but once you get going with it you can work out how to blend it to suit you're needs you can go crazy mixing illuminators, moisturisers, primers and all sorts. While I do think it might be a faff for the average makeup user but I think it's well worth trying out if you're willing to experiment with makeup and want a unique product to try out.